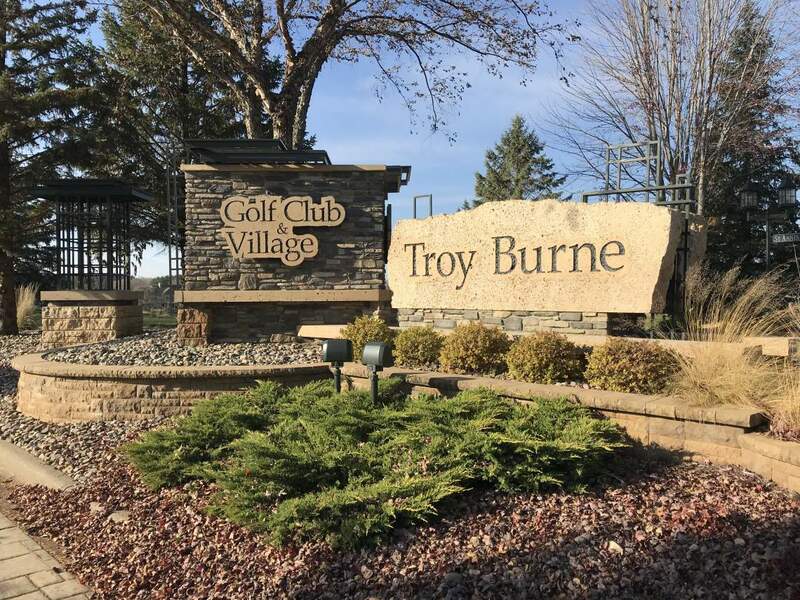 Troy Burne Village is a Community of custom built homes and townhomes that offers a variety of features, including 2 miles of lighted walking paths, 10-acre park and open-air gazebo. Tucked along the bluffs of the scenic St. Croix River, homeowner’s experience the beauty of a championship golf course, limestone monuments, manicured boulevards, ponds, and rolling prairie topography. Troy Burne Golf Club features a lush 18-hole signature golf course with generous bent grass fairways and stadium greens. This PGA caliber course created and designed by Tom Lehman is just a short 25-minute drive from St. Paul.